A dynamic racing game developed by the creators of the cult FlatOut series and the last two iterations of the almost equally famous Ridge Racer series – Finnish studio Bugbear Entertainment. Next Car Game is the next racing game developed by the Bugbear Entertainment studio, known for releasing such titles as: Rally Trophy, FlatOut and Ridge Racer Unbounded. The production features many demanding, but extremely satisfying racing challenges, as well as various ways of modifying your vehicles. The game draws grand inspirations from the FlatOut series, which makes the title in question an unusual racing production, as time and the place in which you finish the race are not the dominant factors in Next Car Game. 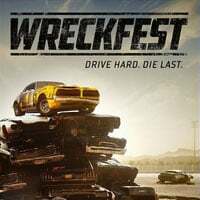 There is a constant war waging on the tracks of Bugbear’s newest title, the contestants are relentlessly trying to wreck the cars of their enemies. The game features both the single and the multiplayer mode. One of the more important aspects of the game is the customization of vehicles; the developers have prepared numerous cosmetics, which will modify the appearance of our machine, as well as various parts which will modify its parameters. Next Car Game also has an advanced destruction system, the damage your vehicle will sustain on the track will have influence both on its looks and the way it drives. The game has been partially financed by the gamer community, as Bugbear has made it possible to purchase the production long before its release, thus gaining access to its early version, as well as some in-game bonuses.